Flow 흐름을 통해 SharePoint 사이트 리스트에 아이템 추가할 때, 아래 400 오류는 SharePoint 리스트에서 해당 컬럼의 속성이 중복값을 허용하지 않도록 설정되어 있는 경우 발생하게 됩니다. 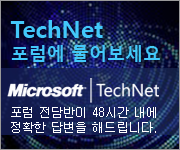 "message": "The list item could not be added or updated because duplicate values were found in the following field(s) in the list: *******"
해당 SharePoint 리스트 속성에서 컬럼의 속성을 보면 Enforce unique values 값이 있는데 이 값이 True 로 되어 있다면 중복된 값이 들어갈 때 오류가 발생하는 것은 디자인입니다. 중복값을 허용해도 된다면 False 로 변경해 주시면 됩니다.